While our canine friends are not able to “talk” like humans do, they are still excellent communicators. Dogs communicate primarily thru body language to signal to others if they are stressed, confident, happy or confrontational. 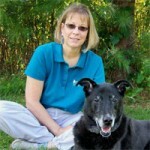 Knowing how to read canine body language can help you determine if your dog is comfortable in a given situation. Here are some signs of nervous body language you may recognize. Your Dog’s Ears If your dog’s ears are upright or forward, he is alert and focused on the object at hand. Ears that are pinned back indicate a dog that may be uncomfortable or deferring to others. However, ears alone may not be the most accurate indicator, especially if the breed has cropped or upright ears. Your Dog’s Mouth The more relaxed his mouth is, the more relaxed your dog is. An open mouth with the tongue hanging freely can indicate calm enjoyment. A tightened or closed mouth indicates concern for the situation. 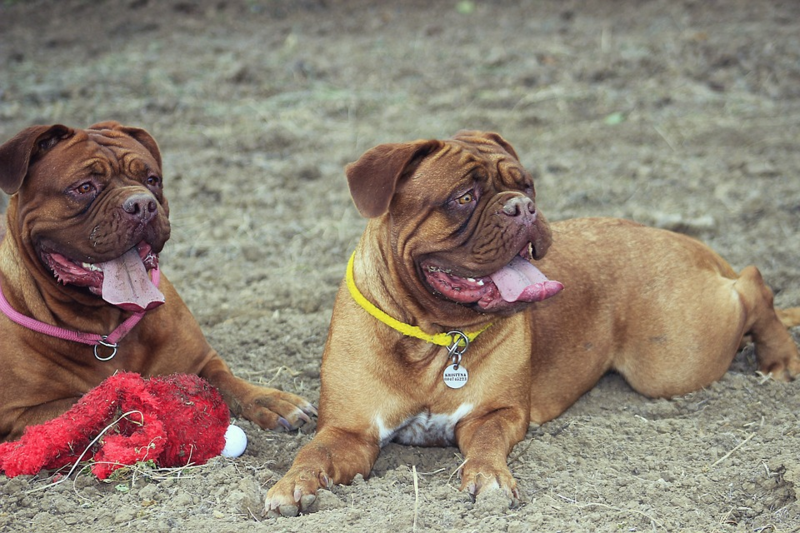 Heavy and excessive panting, yawning, or lip licking may also indicate stress and discomfort. Dogs will bare their teeth as a way to tell others to “back off”. Showing the front teeth sets up a more offensive position. Showing the back teeth in a “C” mouth shape indicates a defensive position. 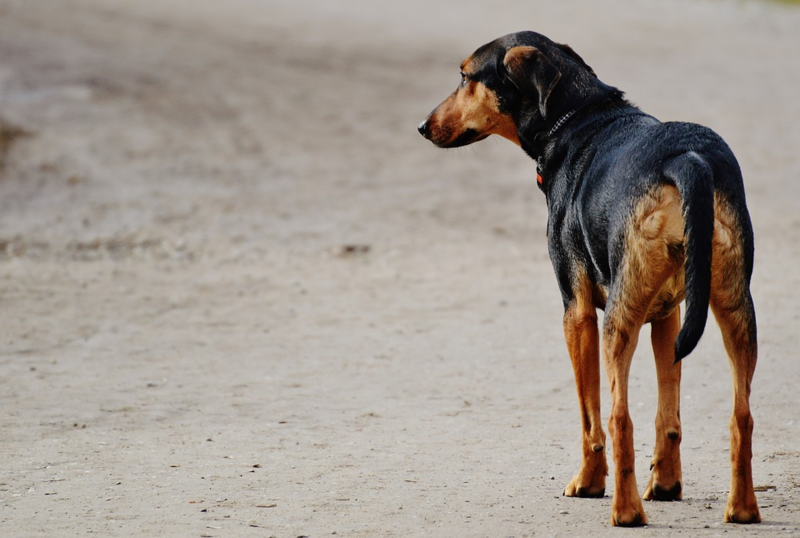 Your Dog’s Tail Contrary to popular belief, a wagging tail does not always mean the dog is enjoying himself! 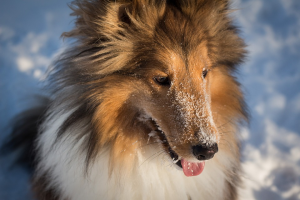 While a tail held high and over the body indicates a dog that is feeling confident, a slowly wagging tail means the dog is assessing the situation. On the other hand, if a dog’s tail is tucked or held low, the dog may not be feeling confident or may be deferring to others. Like ears, tails alone may not be an accurate indicator, especially if the breed has cropped tails. Recognize Your Dog’s Entire Body, Not Just the Parts! In order to accurately understand how a dog is feeling, it is important to observe the dog as a whole. For instance, a dog with his tail held high and tongue hanging out, is likely enjoying himself and feeling good. A dog that is showing teeth with a stiff body is not comfortable. A dog trying to run away with tucked body, closed mouth, laid back ears and drooping tail is also not comfortable. 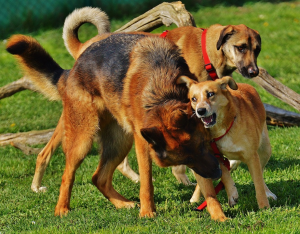 Dogs that are too nervous may try to escape a situation and if they can’t, they may try to defend themselves. We owe it to our dogs to be their advocates – to learn their language – to keep them comfortable in all they do. ← Puppy School – Start Early for Success! I love that you mention it’s important to look at the dog’s whole body and the context. My dog will tuck her tail when she’s trying to eat a big treat or a difficult chew – she’s not scared, she’s just concentrating! Are you sure? Could she be hunching over the chew as if to protect it from a perceived threat?